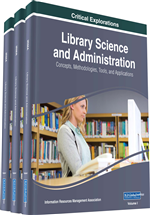 The environment in which library services are currently offered has changed drastically. The volume of information has grown enormously; the variety of information, its sources and format of presentation have increased; the speed of information flow has increased; times and places to experience communication media have expanded; the number of information perspectives and points of view has exploded; and the people's interest in and expectation of the availability of information have grown. The information users have also changed and now exhibit remarkably unique information seeking behaviour. They basically want synthesised information with the least effort. They are intolerant to any forms of delay and get bored very fast. Librarians must understand the emerging information seeking behaviour and the resultant expectations to be able to satisfy the users' information needs closely. As they do so, they must acknowledge that the uptake of traditional services has dropped drastically and that it is much easier to follow the library users into their digital echo chambers than try to attract them back to the conventional library spaces. Information seeking is the conscious effort to acquire information in response to a need or gap in knowledge (Case, 2002). It can also be perceived as the process of acquiring, evaluating and using information. Thus, information seeking behaviour encompasses a wide array of actions which individuals or groups take to identify, seek, evaluate, select and use information to fulfil their information needs (Wilson, 2000). Kakai, Ikoja-Odongo and Kigongo-Bukenya (2004) also define information seeking behaviour as an individual’s way and manner of gathering and sourcing for information for personal use, knowledge updating, and development. Savolainen (2007) describes information seeking behaviour as how people need, seek, manage, give and use information in different contexts. In this process people normally interact with other people, information systems or tools. Information seeking is a means of gathering or sourcing information necessary for specific or general purposes. Central to information seeking behaviour is the concept of information need. Hjørland (1997) defines an information need as relevant information which individuals or groups require in relation to a given task. In this respect, Weigts et al. (1993) explain that people seek information to understand new ideas and issues; elucidate existing information; confirm information held; elucidate beliefs and values held; and to confirm beliefs and values held. Thus, information seeking begins with the realisation of an information need and ends with the satisfaction of that need (Krikelas, 1983). Wilson (1981) argues that information seekers are motivated by physiological, cognitive or affective needs and further suggests that the barriers they face stem from those physiological, cognitive or affective realms. Libraries must understand the information seeking behaviour of their users to be able design services that closely fit their information needs (Mahajan, 2009). Zhang (1998) agrees with this view and stresses that an understanding of library users’ information needs and information seeking behaviour is fundamental to the provision of successful information services. According to Devadason and Lingman (1997), the understanding of information needs and information seeking behaviour of actual and potential library users is essential as it helps in the planning, implementation, and operation of information systems and services. It is no wonder that White (1975) specifically avers that if academic librarians are to realistically serve researchers, they must recognise the changing needs and variations in information gathering and provide services that would be most useful. Therefore, knowledge of the information needs and information seeking behaviour of users is vital for developing library collections, upgrading facilities and improving services to effectively meet the information needs of users (Gunasekera, 2010).